What is the most bacteria-loaded item in your home? Not the toilet…it is your kitchen sponge! 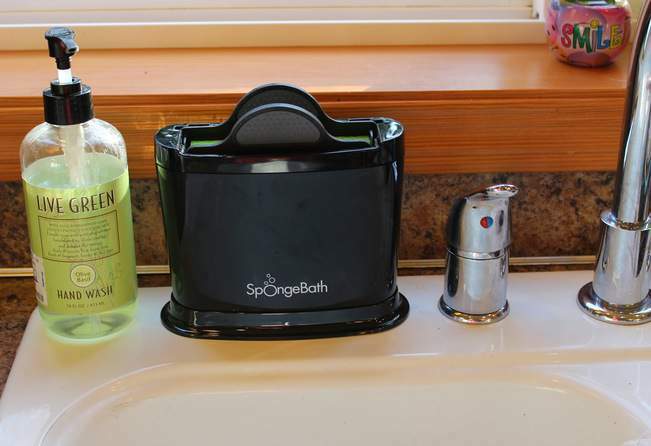 That thing you use to wipe your counter and stovetop and scrub the dishes you eat off of-gross! In any home I have lived in, a dishwasher is a must for me as it at least heats up my dishes high enough, but what about my countertops? And I can only wash my sponge in the dishwasher so many times before it begins falling apart. 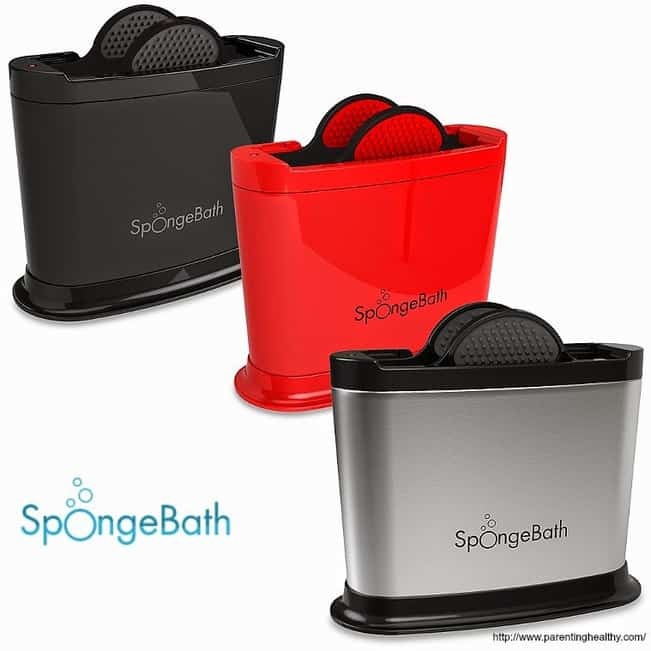 SpongeBath is the genius new home product meant to clean your sponge between uses. 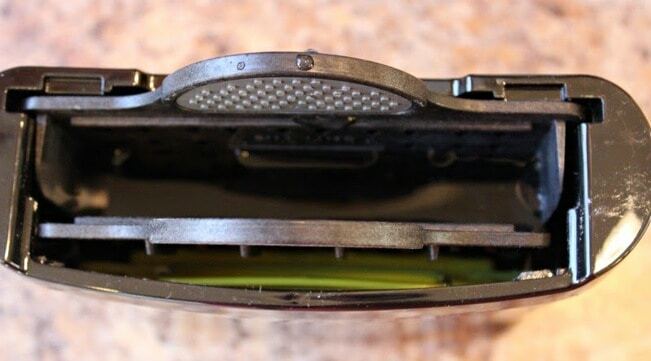 The yellow you see is a replaceable filter that keeps the sponge clean in the bath. You can also secure it to the included base and have it near your sink. You can find your SpongeBath at Bed Bath & Beyond. This makes a great gift for anyone! Every kitchen should have the SpongeBath. I love it and the kids use it with no problem. 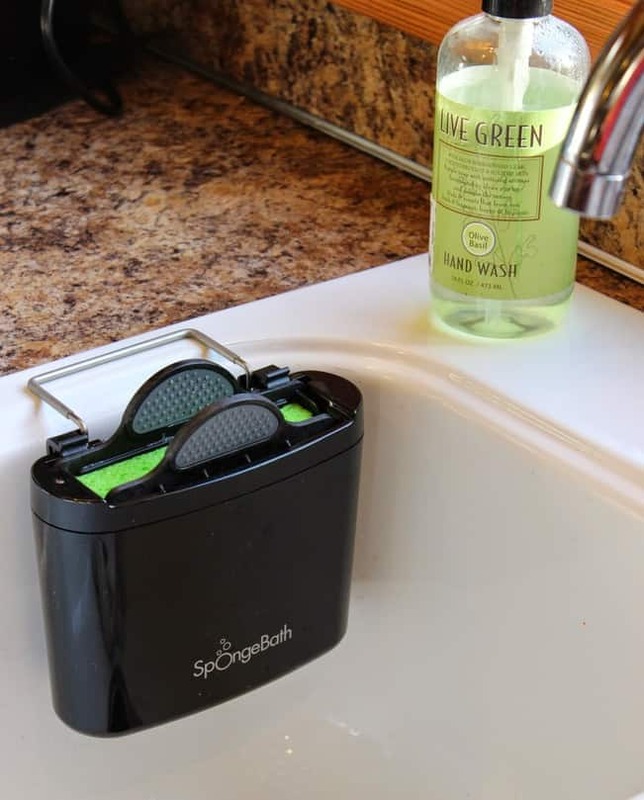 Just give the paddle the sponge sits in a few squeezes to activate and draw the formula in and feel better about your counters and dishes being in contact with that sponge! So affordable and the refills are a great price too!